Whether your wholesale bacon order is Dutch, Danish or British, you can have your bacon exactly how you want - you’re guaranteed quality. Thinking of where to buy bacon? Think J.Buckland. 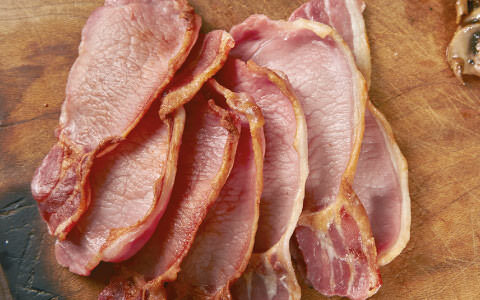 We are wholesale meat suppliers renowned for our thick cut bacon, thanks to our dedicated bacon factory. Everything happens on site – producing, slicing and packing – so we are able to guarantee the highest quality and freshness every time. Mr Buckland was one of the first to import bacon from Holland and Denmark and we still do it today, as well as offering a vast choice of great British bacon. Once a customer buys bacon from J.Buckland, they keep coming back for more. Green, smoked, dry cured, streaky – thin or thick cut. Whatever type of bacon you want, we can supply it for you. What’s the best bacon to buy? We love all the varieties we stock, but our ultimate best-seller is our own fresh, thick cut bacon - you should really try it if you haven’t yet! From a full English for breakfast to a lunchtime bacon butty, nothing fills you up quite like a rasher or two. We supply a range of cafes, restaurants, delis, schools and hotels with our bacon, building up a reputation for quality and service that we are extremely proud of. The selection of wholesale bacon available to our customers is impressive too; including British bacon supplies, Danish bacon and much more. We now supply pre-cooked bacon for our customers’ convenience. It’s just as delicious as the rest of our bacon range and a great time saver! Because of our experience, we have become bacon connoisseurs. From knowing the best way to cook bacon, crafting the perfect bacon sandwich or helping you decide which is the best bacon to buy for your requirements, we’ve got the answers. And we deliver for free next day in our SALSA-accredited vans to butchers, delis and schools throughout Essex, including Leigh-on-Sea, Southend-on-Sea, Romford and Chelmsford. 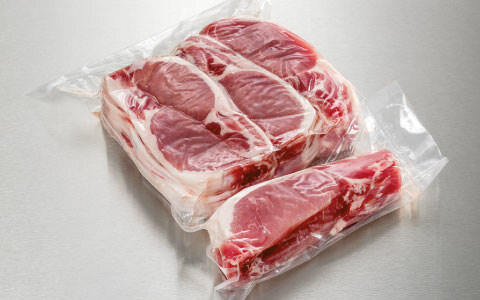 We guarantee top quality bacon, sliced and packed for your convenience - ideal for the hospitality and catering sectors, and butchers too. For bacon that will fly off your shelves and be loved by your customers, speak to the Buckland team today.